Product categories of Exterior Porcelain Tile, we are specialized manufacturers from China, Exterior Porcelain Tile, Exterior Ceramic Tiles suppliers/factory, wholesale high-quality products of Exterior Wall Porcelain Tile R & D and manufacturing, we have the perfect after-sales service and technical support. Look forward to your cooperation! 1. 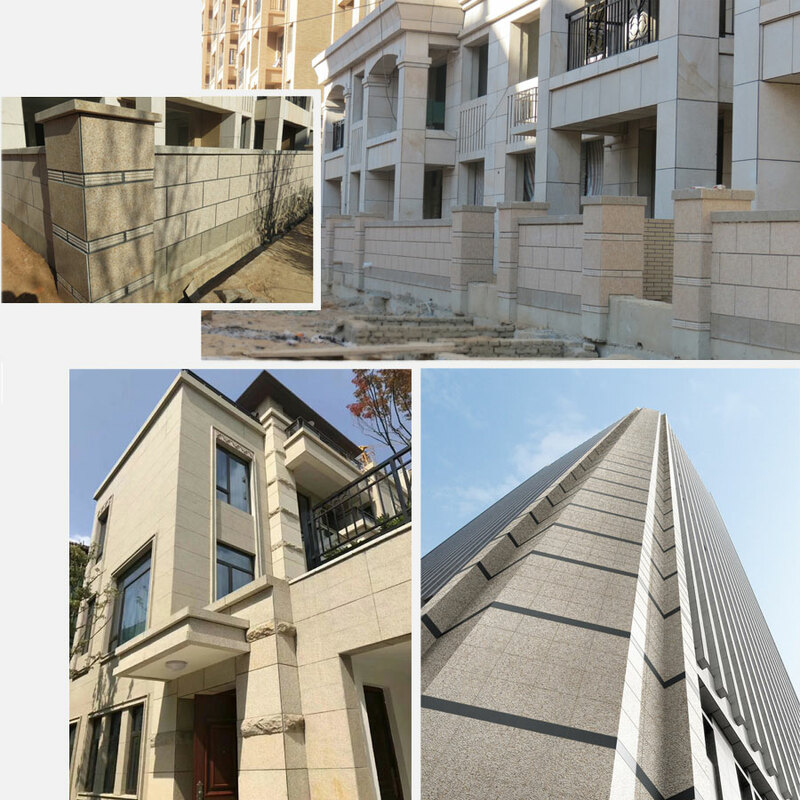 Light and thin, saving raw material resources, and reducing overall consumption, reducing the load of the building itself, the effect of high-rise building engineering is more obvious. 2. Water absorption rate <0.1%, no cracking phenomenon, exterior wall porcelain tile have superior physical properties, sturdy and durable, good weather resistance and long service life. 3. Exterior ceramic tile is easy to clean, fireproof, water resistant, wear resistant, corrosion resistant and low maintenance cost. 4. The color is rich and stable, and the exterior wall ceramic tiles surface has various effects. The exterior wall tile surface has a variety of textures, whether it is shiny or flat or rough, and has a rich and varied design and a strong decorative effect. 5. Easy to cut. For some large walls, large exterior porcelain tile cladding has a better visual effect. Designers can also cut large-sized tiles according to their design needs, and cut and process them to get the most suitable tiles. 1. Tile adhesive construction: use a serrated boring tool to evenly scrape the cement-based adhesive on the construction base layer, then press the porcelain plate into the adhesive, tapping with a wooden pole, a rubber hammer, etc., so that the tile and the adhesive stick more firmly. 2. Building porcelain panel dry-hanging system. 3. Construction porcelain decoration insulation board construction system.